In this database, GM Evgeny Postny provides a complete repertoire for White after the moves 1.d4 Nf6 2.c4 g6 3.Nc3 d5 4.Nf3 Bg7 5.h4!? This aggressive approach is getting very popular. Among the proponents of this line, we can find the names of Mamedyarov and Kasparov. 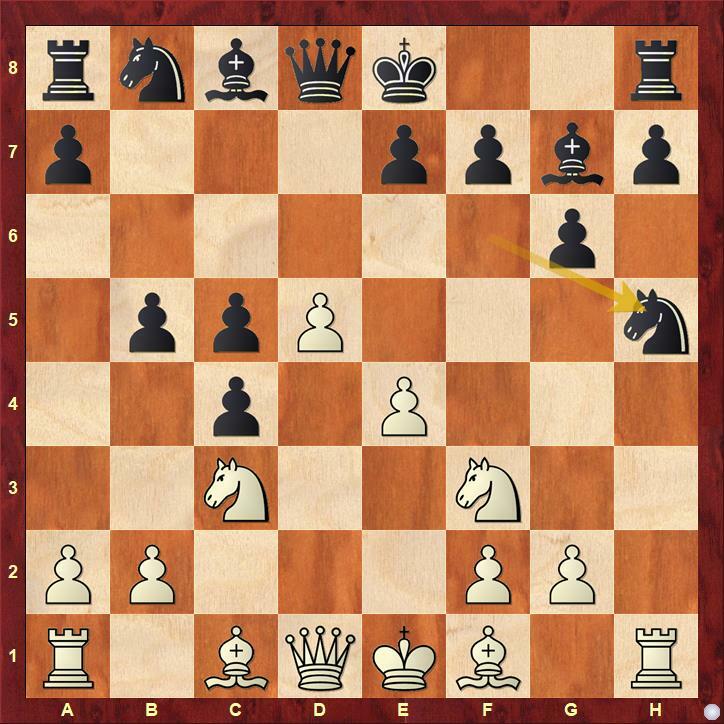 While Mamedyarov is playing in this way on a regular basis, Kasparov played 5.h4 in his game against Nepomniachtchi at Saint Louis rapid tournament in 2017. This is how the author describes the variation: Everyone, who is a 1.d4 player encountered a problem - what to do against the Gruenfeld Defence? It is a sound opening where Black attacks White's center from the very beginning. In many lines, the theory goes so far that many games end in a forced draw without even a single own move from both players. This is always disappointing for the White players. In the current survey, I will present the very aggressive line 5.h4. First of all, let me clarify one thing. You will not find here a refutation of the Gruenfeld, but if you are an ambitious player, this might be an interesting line to include in your repertoire. So, what is the point behind such an early push of a side pawn? White is ready to push this pawn further h4-h5 and even sacrifice it. 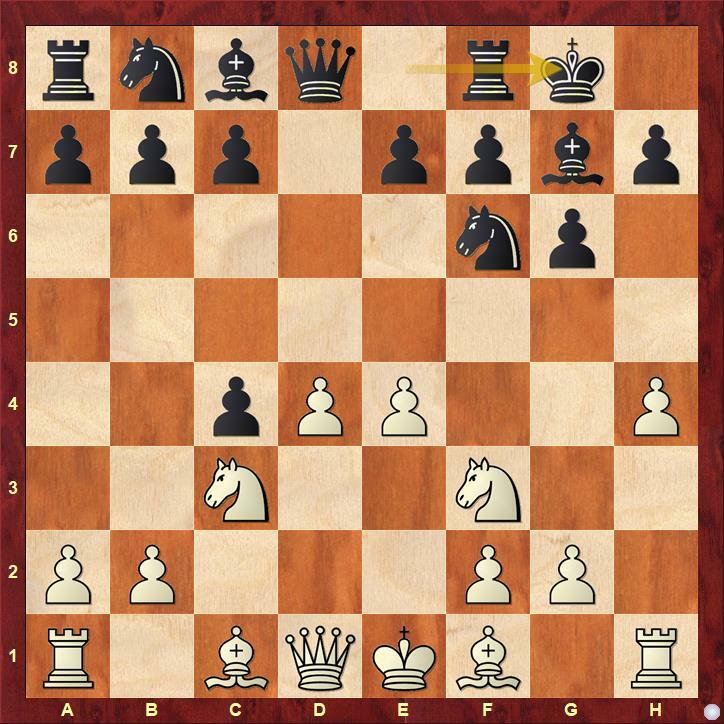 This should drive Black's knight away from the center and Black will lose control over the key squares d5 and e4. Also, the h-file will be opened for White's rook. 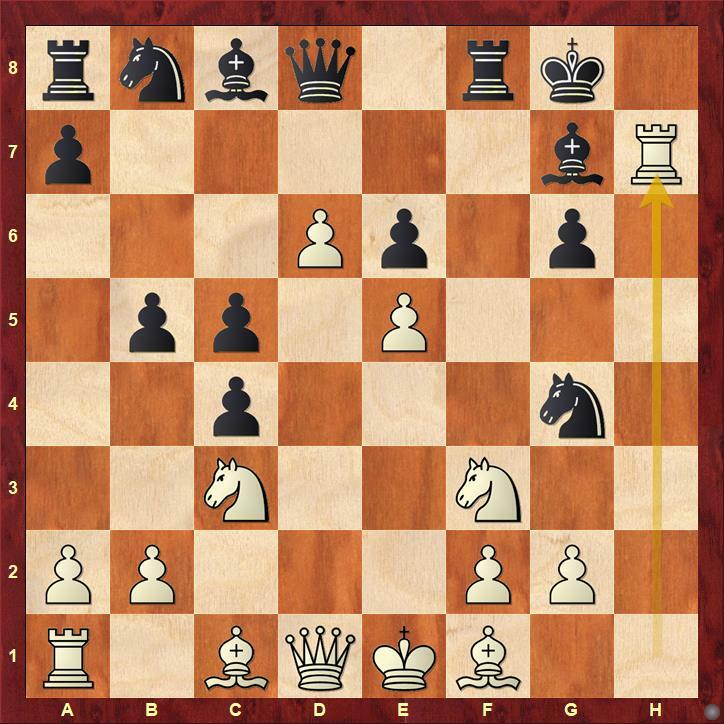 This will become obvious after Black castles to the kingside and his monarch might get under dangerous attack. 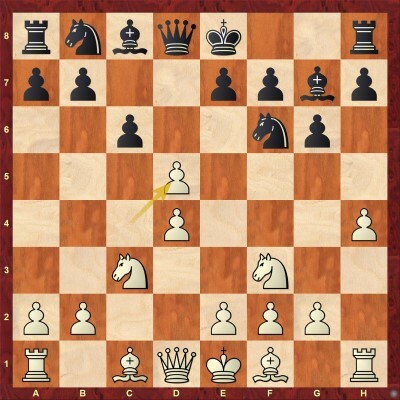 In this chapter, GM Postny analyzes some rare moves like 5...h5, 5...h6, 5...Bg4, 5...e6 and 5...Nc6 All those moves are inaccurate and White easily achieves a pleasant position. Logical continuation which was tried by some of the biggest Gruenfeld experts such as Svidler and Nepomniachtchi. Nevertheless, White's play seems easier and after the logical 6.cxd5 Nxd5 7.h5 he has the initiative. In his analysis, GM Postny demonstrates the practical difficulties Black faces in these positions. A standard counterstrike, but it's too early for this. White can simply continue with 6.dxc5! and then both 6...Qa5 or 6...Na6 failed to equalize. Generally speaking, Black's statistics in this line are just terrible. And for a good reason! Chapters 4 - 7 are dedicated to the move 5...dxc4. 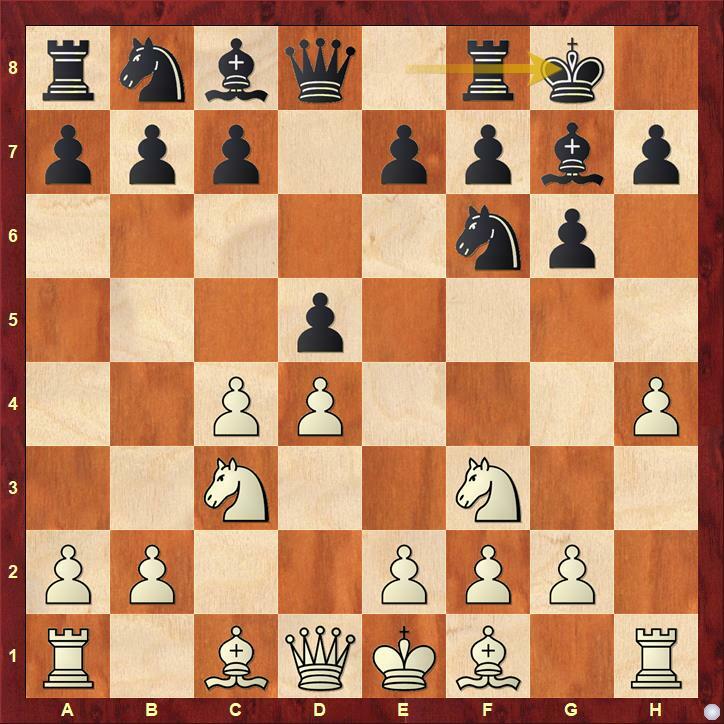 This is the second most popular option for Black (after 5...c6) and leads to some sharp and complicated positions. 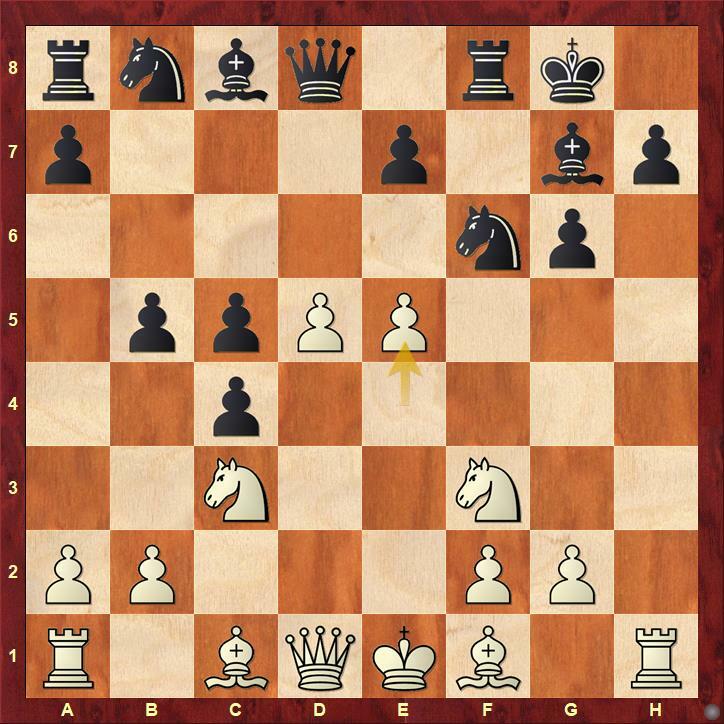 In this chapter, you will find analyzed the position after 6.e4 0-0. The move 6...0-0 is useful, but also Black wastes some time and gives White a possibility to win the pawn back. After the almost forced sequence: 7.Bxc4 c5 8.d5 b5! 9.Bxb5 Nxe4 10.Nxe4 Qa5+ 11.Nc3 Bxc3 12.bxc3 Qxc3 13.h5 we reached a critical position for this line. In this position, Black tried several continuations, but according to Postny's analysis, White keeps the upper hand after all of them. This chapter is dedicated to the position on the diagram. The difference with the previous one is that Black played start immediate counterplay in the center (6...c5) instead of 6...0-0. The position is quite unbalanced. The main line continues 9.Nxb5 0-0 10.Bxc4 - White wins the material back and has some pressure in the center and on the h-file. The practice and analysis show that White's chances are preferable. 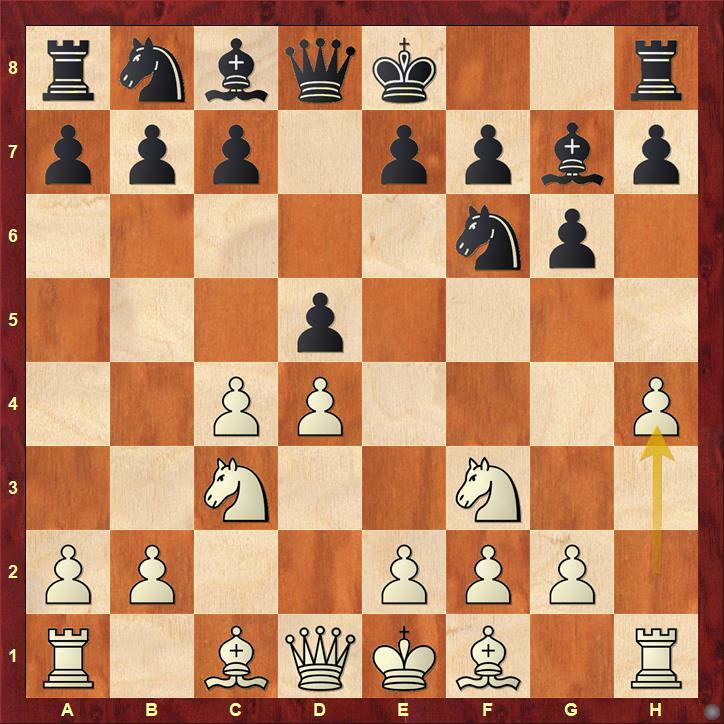 One of the sharpest and most important positions in the whole 5.h4 variation. White has an attack on the h-file, but Black is trying to ruin White's center. Both sides should be very well aware of the theory to enter this line. The main line continues 10...Ng4 11.d6 e6 12.Rxh7! 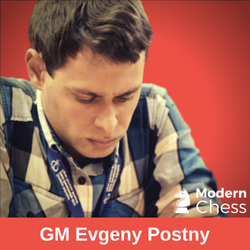 An amazing position which is the starting point of Postny's analysis. The conclusion is that even that the position is objectively equal, Black should be very careful until the end. Chapter 7 - 1.d4 Nf6 2.c4 g6 3.Nc3 d5 4.Nf3 Bg7 5.h4 dxc4 6.e4 c5 7.d5 b5 8.h5 0-0 9.hxg6 fxg6 10.d6!? The idea of GM Shahriar Mamedyarov. There is only one game in the database with this move. GM Postny provides us with fresh analysis in this almost unexplored position. Black's possible options are dealt with in great detail. The conclusion is that Black faces serious practical problems in this line. With a very precise play, he should hold the balance but often he needs to follow a very narrow path to equality. In this line, by following the analysis of Postny, you can often win without making a single move of your own! The move 5...c6 is the most popular and the simplest way to met 5.h4. 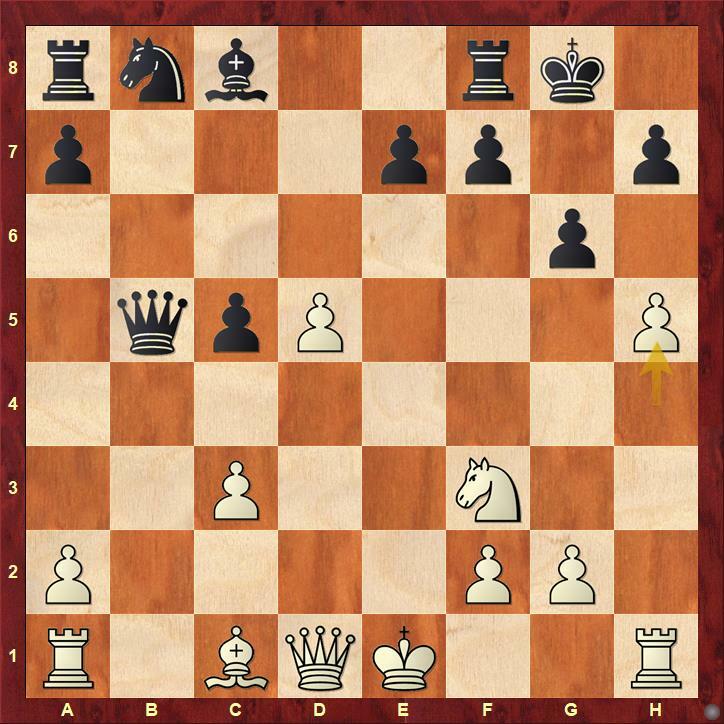 After 6...cxd5 7.Bf4 the position is quite similar to the Exchange Slav Variation where Black's bishop is not ideally placed on g7, but the pawn on h4 can be a weakness in some lines and also the g4-square can be an issue. This line was played in some high-level encounters and it seems that it is easier to play for White. Although objectively speaking, Black should be able to hold the balance. Both moves are very decent and lead to sharp positions. Nevertheless, in the chapter, you will find some new ideas and concepts for White. Armed with the analysis of Postny, you should be able to put Black under serious pressure. 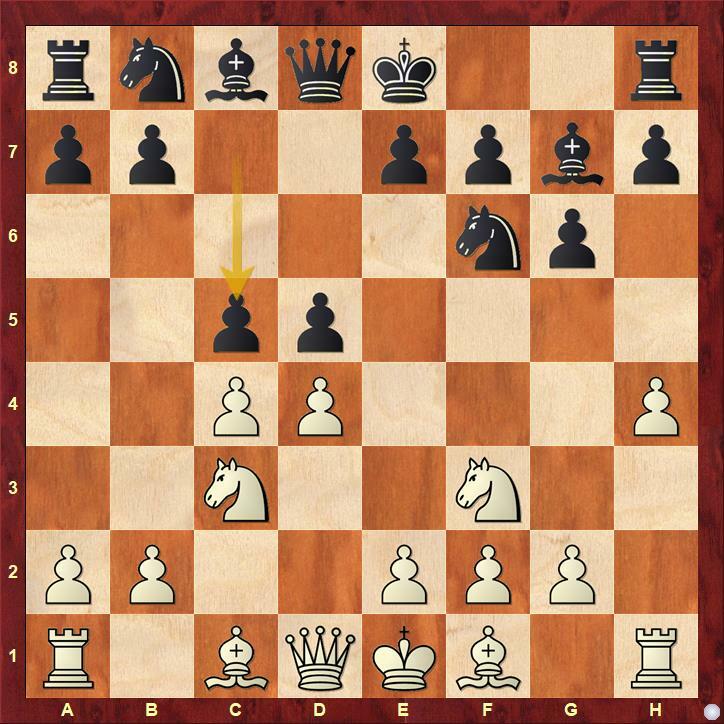 The variations with 6...h6 or 6...0-0 7.e3 h6 are more positional. White usually exchanges on f6 and then delays h4-h5. After completing the development, White can start slowly improving his position. Black's position is solid but passive. White cannot pretend for some big advantage here, but Postny proves that his position is easier to play. The database ends with 20 interactive test positions. Below, you can find 5 of them.